Now the launching of 3G and 4G services in Pakistan, wireless internet on wireless devices is all about telecom operators. But Pakistan Telecommunication Company Limited (PTCL) is trying to change that by bringing the most advanced wireless internet option to Pakistan very soon. PTCL plans to launch a new service of Evo Chaar G that will offer internet speed up to 36Mbps in next two weeks. Remember that Pakistan Telecommunication Authority (PTA) awarded licenses to 3G and 4G operators, i.e. Ufone, Mobilink, Telenor and Zong. The company has decided to shock the market again with this new device that will change the way we connect to internet, exactly like it did with EVO and Nitro devices few years ago. 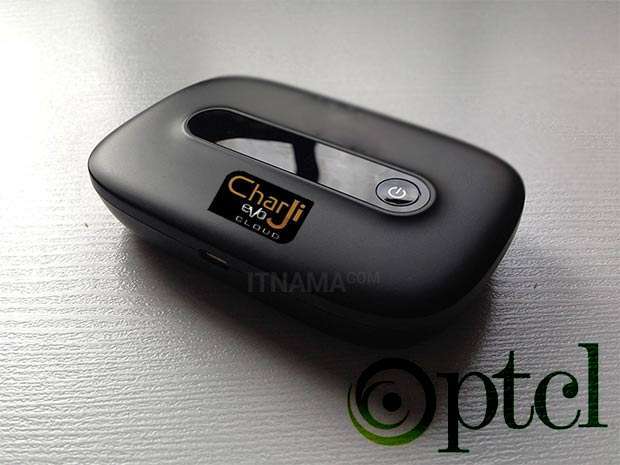 For now the project has been code named by PTCL as ‘Charji’ within the company. Its an EVO like wifi dongle device. According to the information we have received, this new technology is being pioneered in Pakistan by PTCL that is capable of offering wireless broadband speeds up to 36Mbps for download and up to 7Mbps for data uploads with-in PTCL’s existing WLL spectrum. Sources confirm that actual download speeds crossed 30Mbps mark on a network that PTCL is currently testing in a live environment. Customers can expect actual download speeds of 20Mbps to 25Mbps after the launch of this new project from PTCL Chaar Ji. According to rumors, this latest service will be offered @Rs 3000/month but the charges would vary or go higher as per the data usage. Previous story Kick Storo – Let your fingers do the walking! ICC Forbade Moeen Ali to Support Gaza!